JoAnn Ainsworth’s books have been racking up awards, including a recent 2016 Best Book Awards Finalist in the ‘Fiction: Mystery/Suspense’ category. 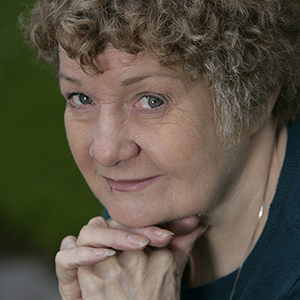 Her six novels reflect the exciting life she described in our fascinating chat. 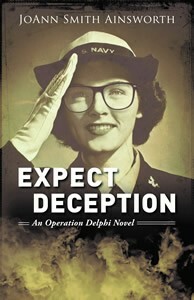 The heroine of JoAnn’s most recent novel uses her psychic power to fight Hitler’s psychics. “I actually studied paranormal methods at the Berkeley Psychic Institute,” she told me. “And I experienced the blackouts of World War II.” The future author was 6 years old and lived near coal mines in Pennsylvania that were a possible Axis bombing target. Her first novels were in the romance category, but she was soon drawn to mystery. JoAnn has created a fascinating suspense genre that she plans to develop “for the rest of my life.” It revolves around a team of 5 Navy psychics racing to stay a step ahead of German spies. These characters draw from JoAnn’s wide-ranging career, working administratively with senators in Washington, scientists at UC Berkeley and lawyers in San Francisco. JoAnn has built realistic expectations in her decade of publishing experience. She learned that a readership builds slowly. And that “it’s easy to spend as much on marketing as you take in.” Most important, “I now love the whole process of writing.” JoAnn has big future plans for her intrepid team of five Navy psychics.